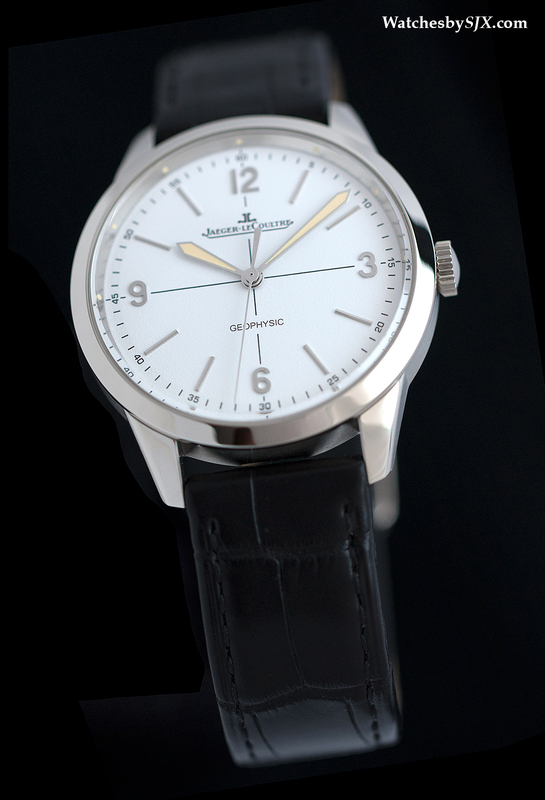 A faithful remake of the Geophysic chronometer made for adventurers and explorers in the 1950s, the Geophysic 1958 sticks to the formula Jaeger-LeCoultre knows well: a moderately priced, vintage-style wristwatch powered by an in-house, self-winding movement. 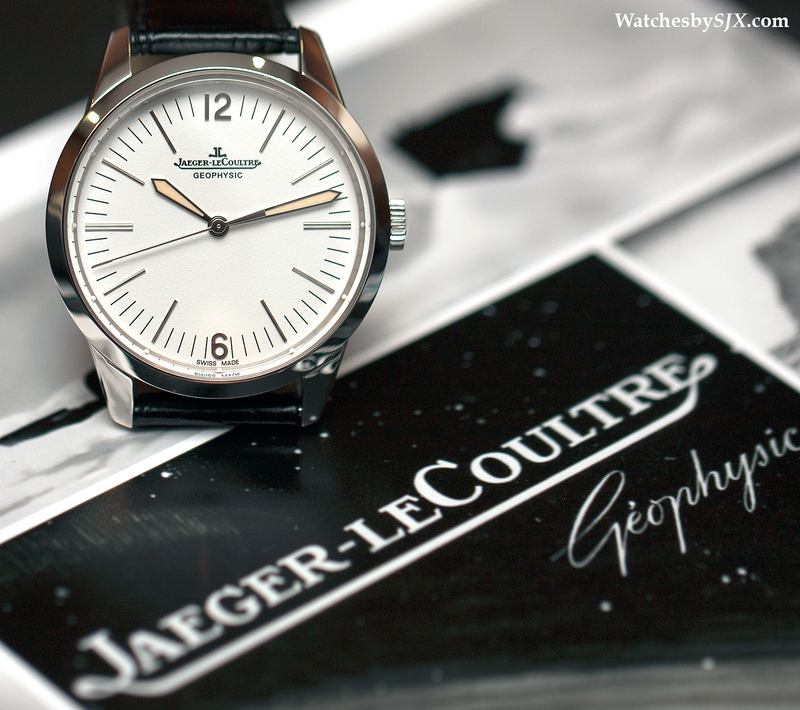 In its price segment, Jaeger-LeCoultre has arguably been the most adept and competent at creating remakes of its vintage timepieces, with the Reverso 1931 being the best example of this success. 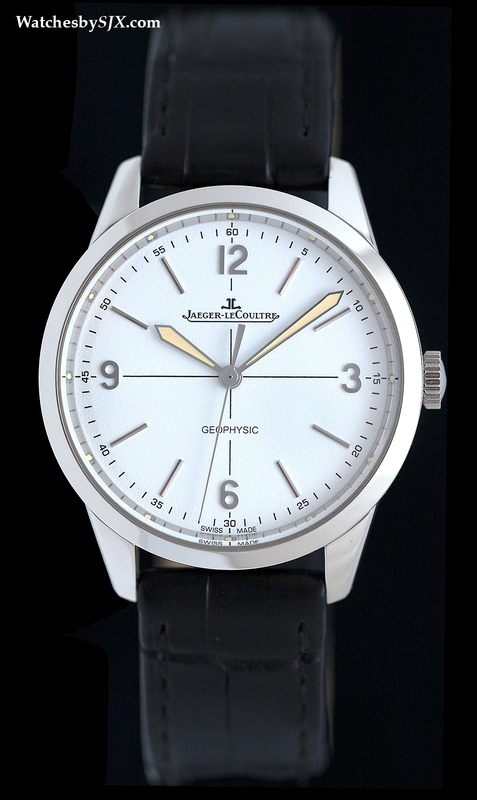 The latest vintage reissue wristwatch from Jaeger-LeCoultre is the Geophysic 1958, based on a fifties chronometer originally created for the International Geophysical Year (IGY). A manual-wind chronometer with magnetic shield for the movement, the first Geophysic was intended for the explorers and scientists involved in the expeditions of the IGY. 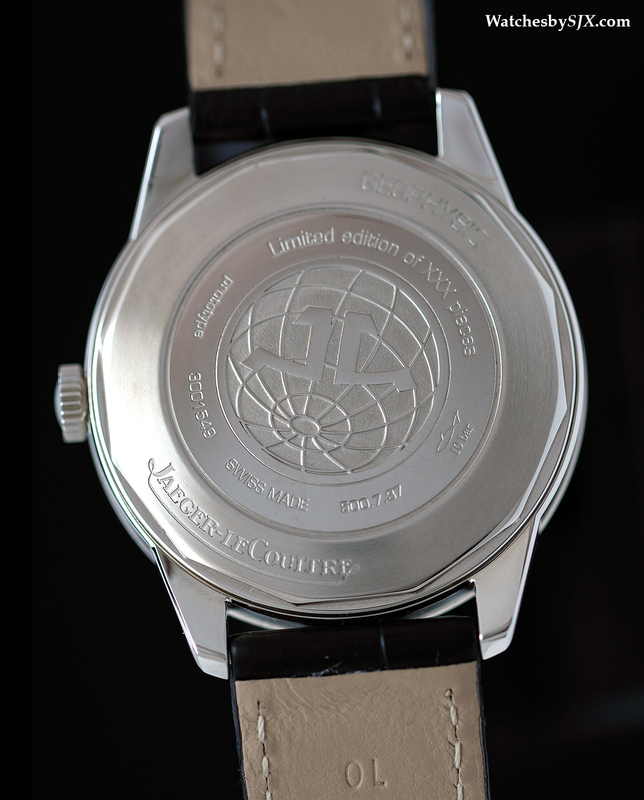 Looking much like the vintage original, the modern Jaeger-LeCoultre Geophysic 1958 looks and feels like an authentic replica of the first Geophysic. 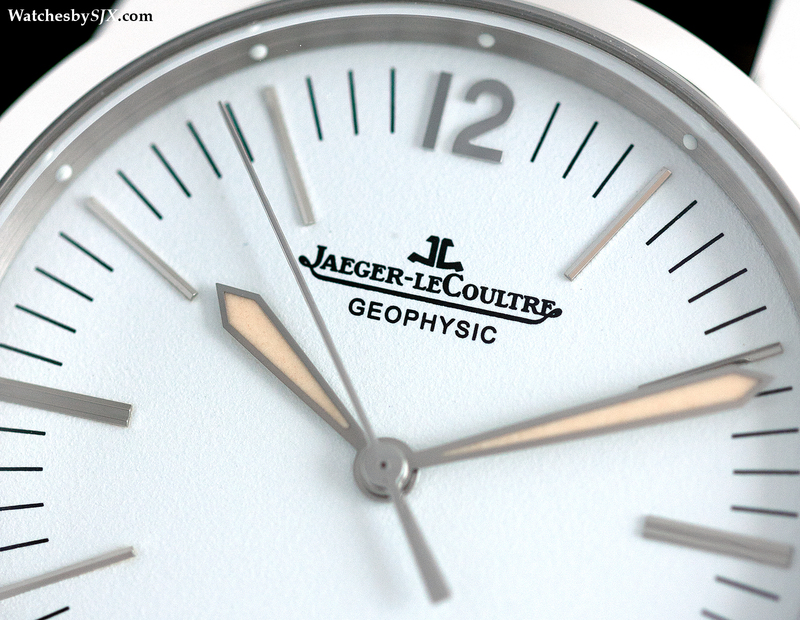 The new Geophysic is 38.5 mm in diameter, larger than the 35 mm of its namesake, but medium sized by today’s standards. 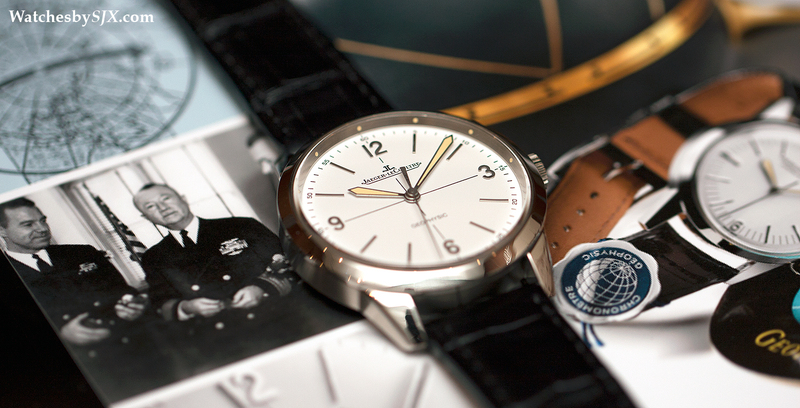 The Geophysic 1958 has all the conveniences of a modern timepiece: a scratch resistant sapphire crystal, an automatic movement and 100 m water resistance. 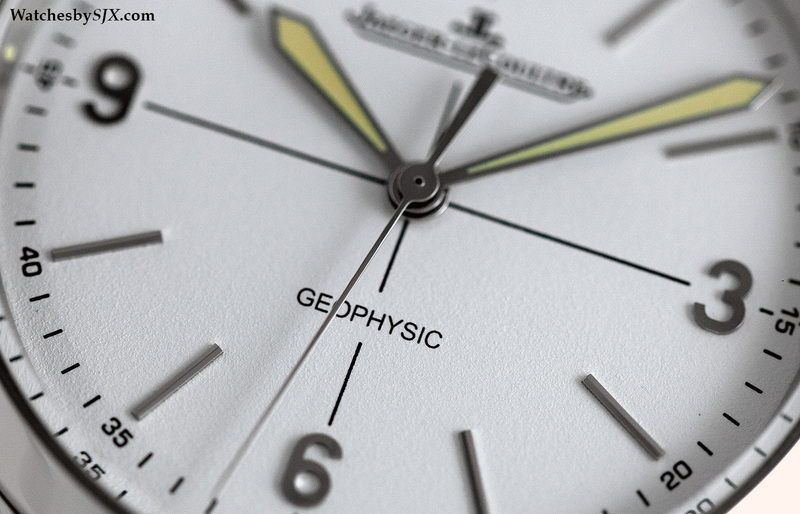 And like the original, the movement of the Geophysic 1958 is also protected from magnetic fields. 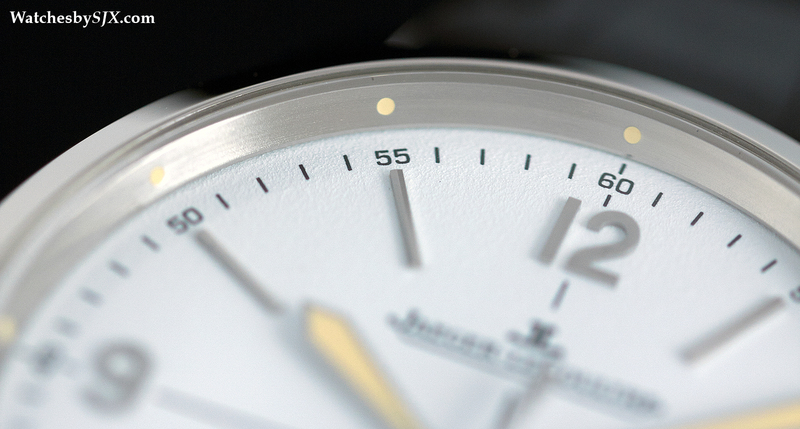 Underneath the solid case back is the calibre 898/1. 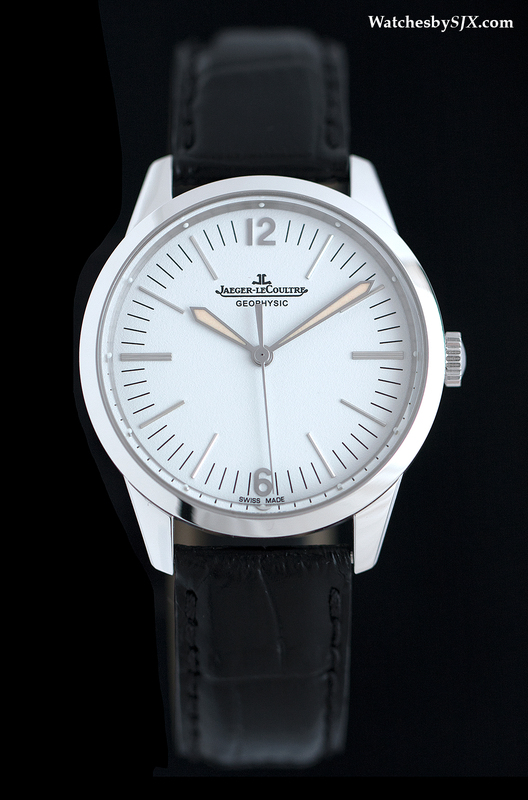 It’s in-house, well constructed and nicely decorated, as Jaeger-LeCoultre movements are, but nothing novel or outstanding. A soft iron cage surrounds the movement to insulate it from magnetism. 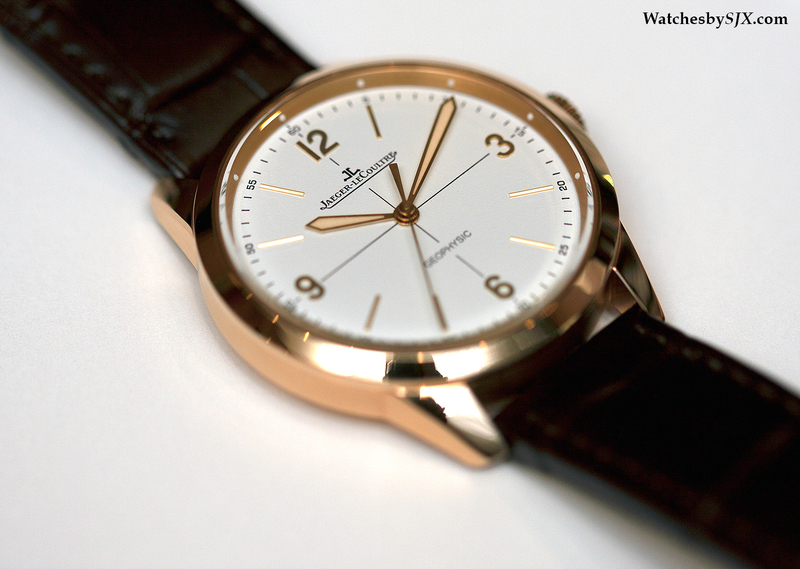 Though not technically outstanding, the Geophysic 1958 has some attractive aesthetic features. 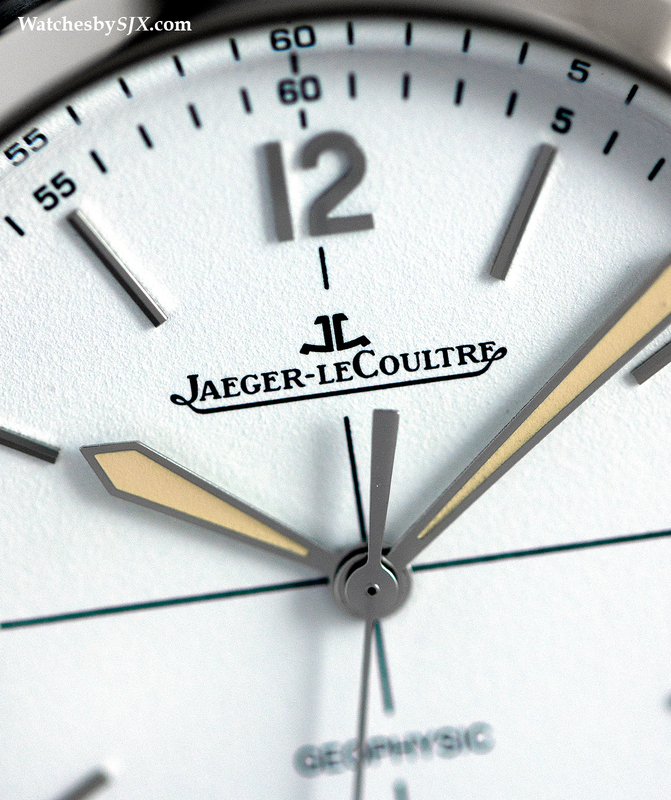 The dials are finished with a grained, eggshell texture, with complements the ivory Luminova. 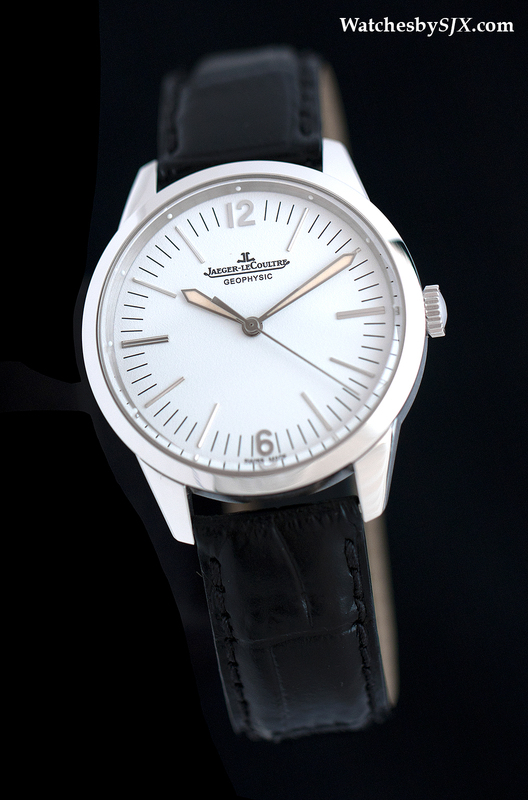 And the baton indices are slightly faceted lengthwise, an appealing details that gives the dial a sense of refinement. An interesting detail are the luminous dots on the dial chapter ring, one of the key differences from the original, which had luminous dots on the crystal (which were often lost when the crystal was replaced). 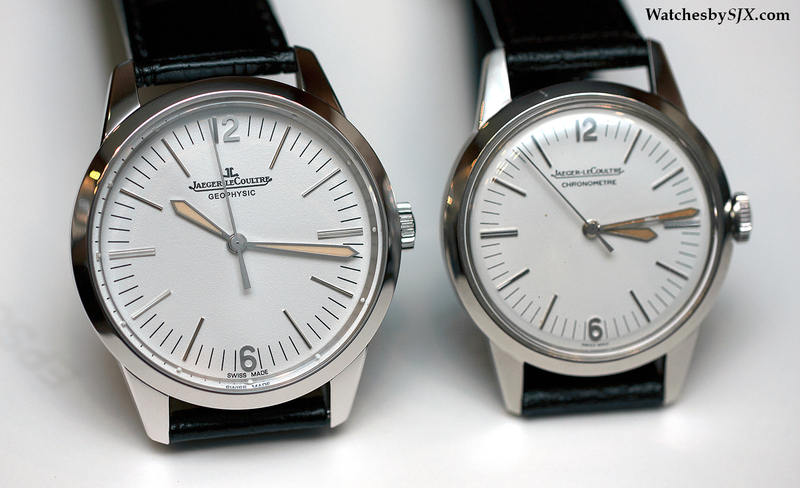 The Geophysic 1958 has a case with a form similar to the original, a simple shape free of clutter. 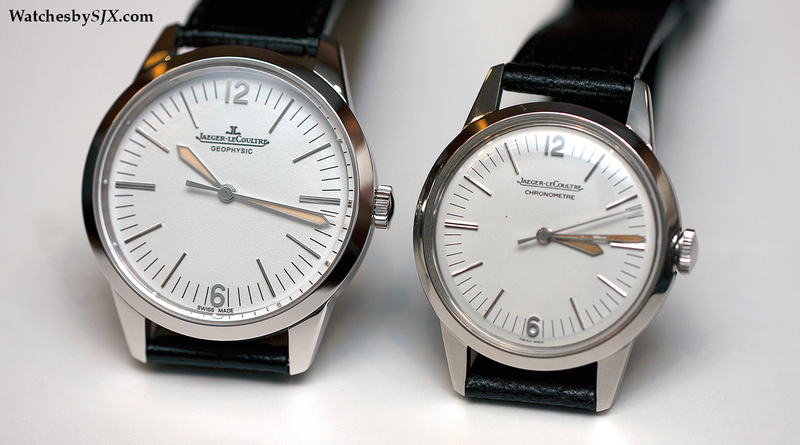 It has a polished finish on the bezel and top of the lugs, while the flanks are brushed, with a polished bevel in between on the lugs. 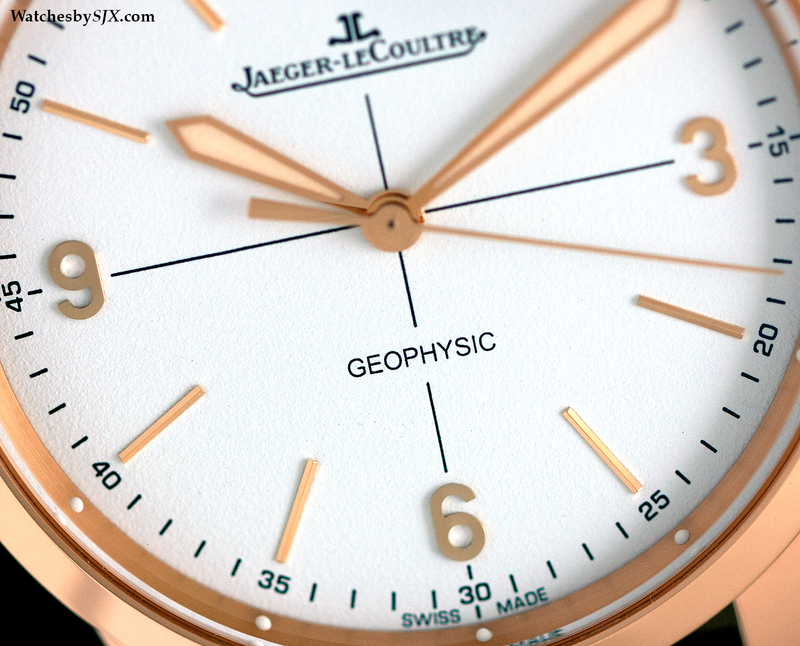 Three versions of the Geophysic 1958 are available: steel, pink gold and platinum. 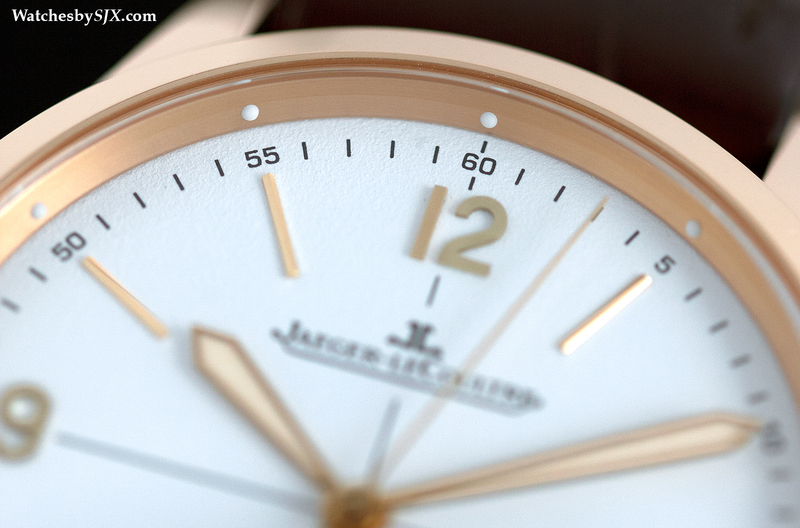 Both the steel and pink gold models have the same “crosshair” dial, while the platinum model has a cleaner dial. Interestingly, the crosshair dials are much less common amongst the vintage models. 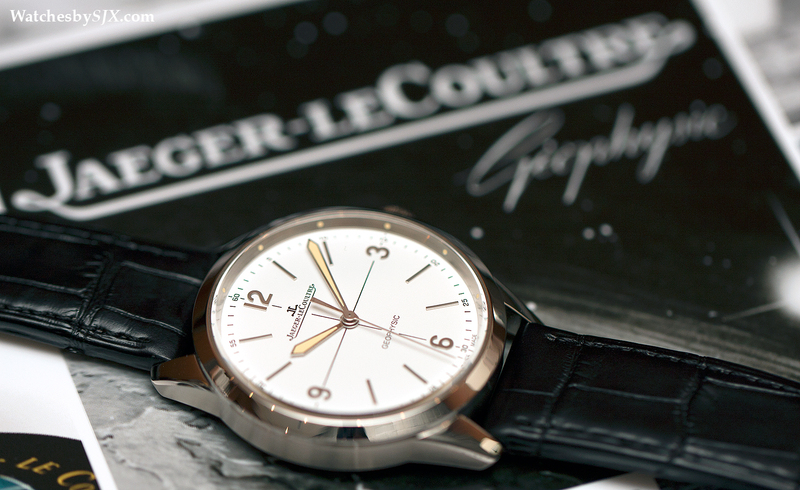 The steel model is limited to 800 pieces with a retail price of US$9800 or 12,800 Singapore dollars. 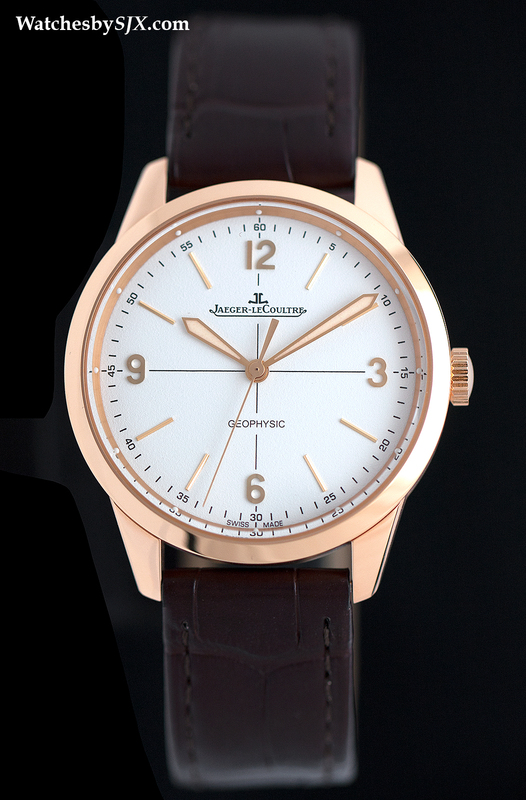 In pink gold the Geophysic 1958 is limited to 300 pieces and will sell for US$20,800 or 27,500 Singapore dollars. And in platinum it will be a whopping US$32,000 or 42,600 Singapore dollars. Only 58 will be made in platinum. 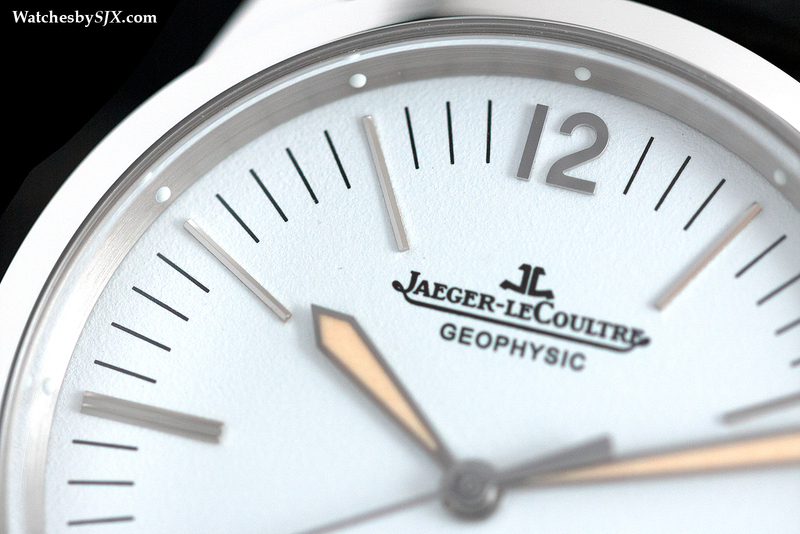 Delivery of the Geophysic is expected in October. 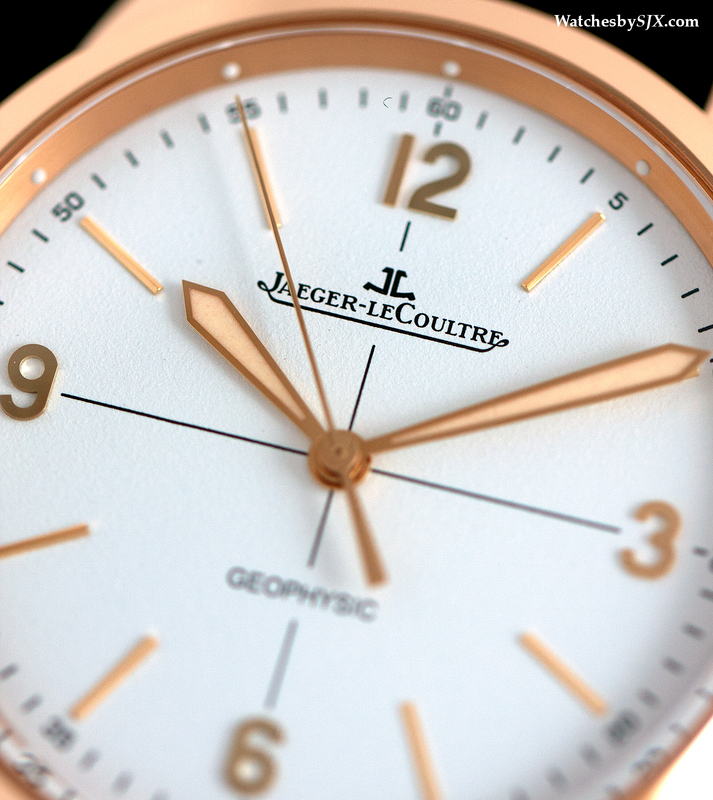 The steel and pink gold versions will be available from authorised retailers, while the platinum edition will only be sold at Jaeger-LeCoultre boutiques.